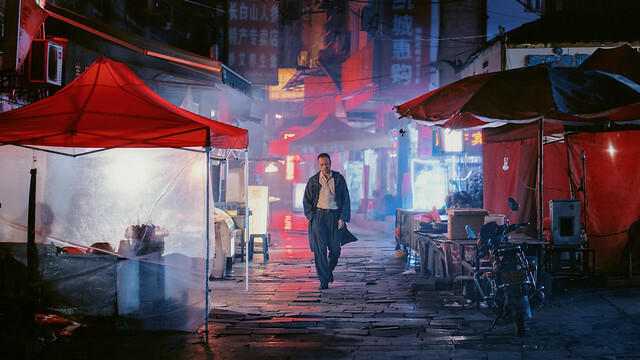 Despite its dumb, Sam Fuller mis-inspired title, Hungarian Kornel Mundruczó presents a simple, tugging at your heart strings tale of lost dog found or dog-finds-his-way-home-bloodily-avenging-misdeeds-along-the-way. 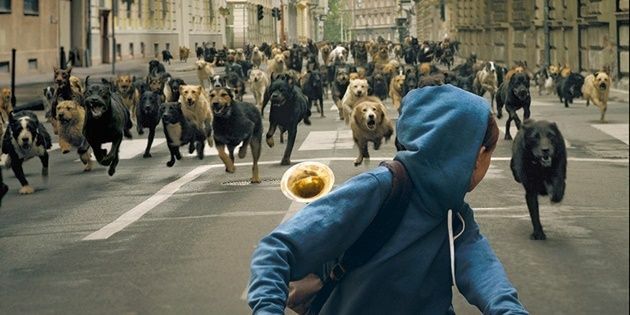 White God is a technical marvel and dog trainers involved should get some recognition for this. A button nosed, rebellious girl Lili (Zsófia Psotta) and her trusty brown lab mix, Hagen, have to spend three months at her divorced father's small bachelor apartment because her mother is going to Australia. Apparently there is a tax for keeping non-purebreeds in apartment buildings in Budapest, so there is a rift between father and daughter. After getting in trouble bringing in Hagen to a music practice (Lili is a trumpet player in a school band practicing Tannhauser for concert) and an argument, dad leaves Hagen in the middle of the street, much to Lili's dismay. Then the film becomes a harrowing homeward bound story. Hagen and his new stray friends on the street are persecuted and hunted by evil humans: nosy neighbors, city's dog pound, illegal dog fighting ring. Some of the film's sequences are hard to take and will undoubtedly raise some eyebrows of American viewers, however well faked they are. The question is: Will Hagen, now trained to be aggressive killing machine on the loose and hell bent on revenge, tear apart little Lili? Gotta admit though, watching hundreds of dogs flooding out the streets of Budapest and behaving the same way while Wagner blaring is at once comic, surreal and thrilling. Be nice to animals yo.